Various cyber threats such as trojans, adware, ransomware, spyware, PUPs and other malware attack millions of Internet users every day. Even though some of them may seem harmless, others can cause a lot of damage to your device or/and sensitive and personal information. Remember, it is always better to prevent attacks rather than try and fix the consequences. That’s where you have to make a seemingly difficult choice – which security tool should you use? If you are trying to choose between two reputable security providers Kaspersky and Panda, you are on the right page! If you do not have to read the entire article, check out this table. 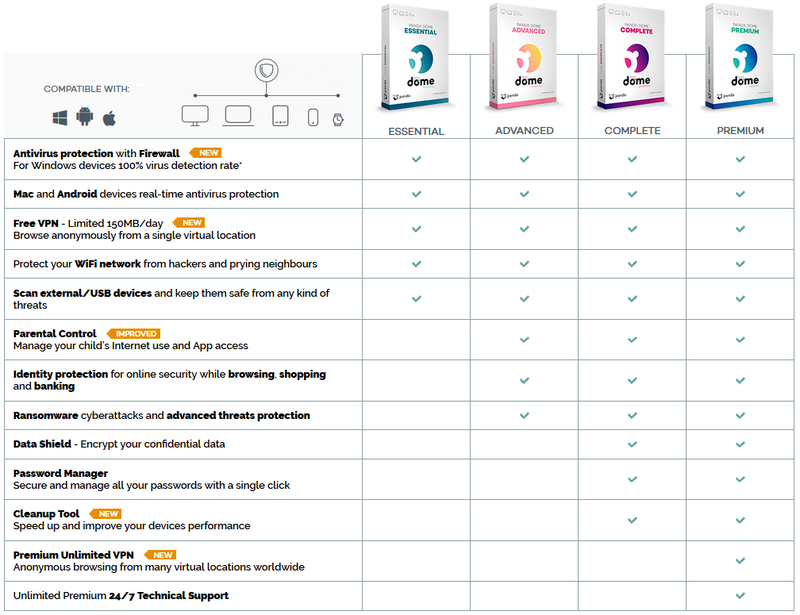 Our researchers tested the antivirus packages by five different categories including offerings, antivirus protection, feature set, system-performance impact, scanning performance, and user interface. This table reveals which provider wins in each category. Panda offers lower prices and more flexible plans. Kaspersky demonstrates better malware detection rates. Panda has a wider selection of features. Panda has more convenient interface. Panda Security is a Spanish-based software company that specializes in security software for consumers and businesses. Panda Security focuses in antivirus, firewall, spam, and spyware detection, as well as advanced cyber security services with technology that prevents cybercrime. The company was established in 1990. 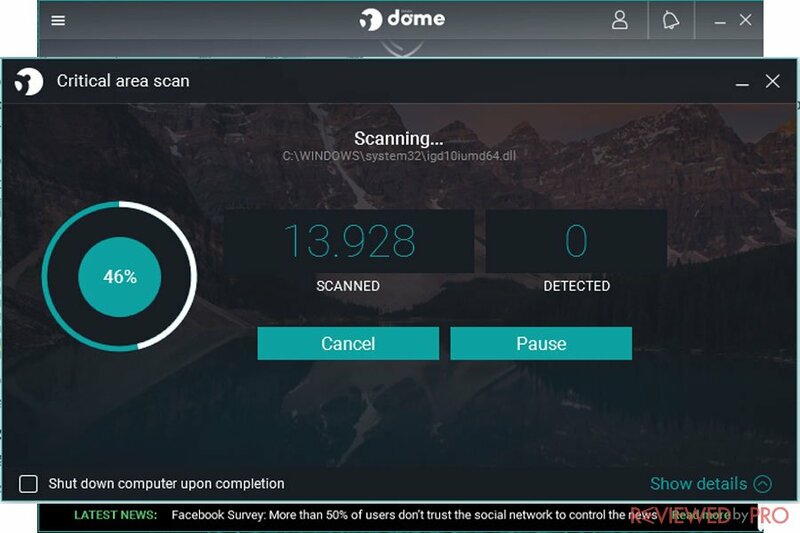 Panda Dome is a once-complex suit of next-gen antivirus applications that are compatible across all of your devices, including Panda Dome for Windows, Panda Dome for Mac, Panda Antivirus for Android and iOS devices. Discounts and offers are often available. Our readers actually get 25% discount. So make sure to check our offer! Kaspersky offers various security and privacy features. All in one, as you can see, Panda offers more features, such as VPN service. Kaspersky and Panda apply popular antivirus technologies. Both antivirus systems combine a digital-signature matching engine with heuristic monitoring. Combining these two methods, the antivirus systems are capable of detecting both, known and previously unseen malware threats. Panda’s results can seem a bit inconsistent. It did not participate in the most recent tests conducted by the independent German-based AV-TEST. However, according to the previous tests, the results varied between 99% to 100%. 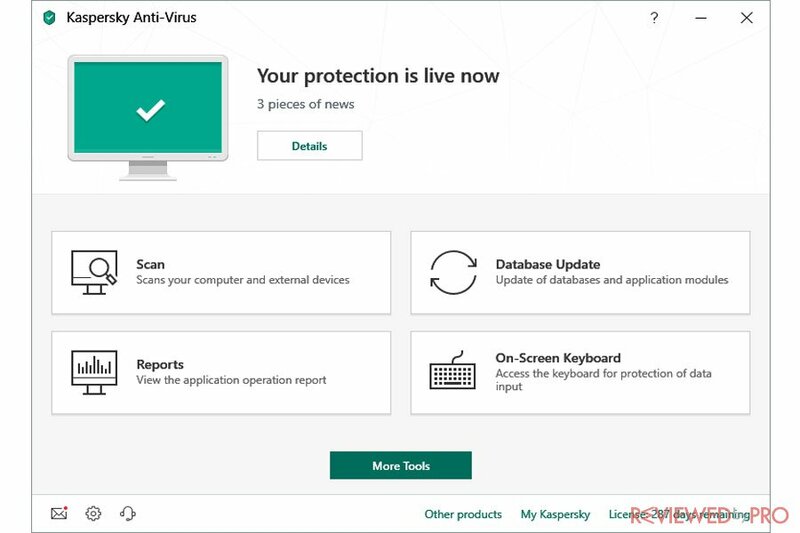 To sum up antivirus protection, Kaspersky offers better detection and removal rates. In addition, AT-TEST also rated Kaspersky 6.0 out of 6.0, as it delivered better results than the industry average. 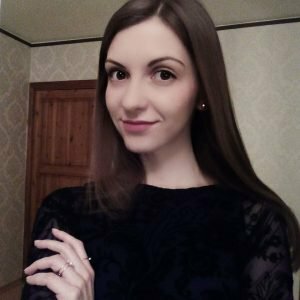 Impact while copying of files – 2%. The first scan took about 30 minutes, the subsequent scans were finished in less than ten minutes, which is pretty fast. In addition, it quick scan only took about 2 minutes to complete. During the full scan, the OpenOffice tool finished about 30% slower than the baseline, which is in the middle. When it comes to performance results, Panda has never been a winner. It has a notable impact on a system and tends to slow down system’s performances. Kaspersky provides users with a very informative support webpage that includes Knowledge Base, How-to videos, forums, and FAQs. The support can be reached via My Kaspersky, email or phone. Panda, however, does not offer free support but also has a very convenient support page that includes a huge knowledge base, including FAQs, manuals, tips and other important product-related information categorized according to the product and operating system. Panda is a relatively decent choice. It an attractive user interface and some unusual features like the vaccination tool or the rescue kit or a VPN service. However according to test results, Panda has a notable impact on a system, and its malware detection rates are just mediocre. As you can see, according to the test results, Kaspersky is a better choice for those who look for superior malware detection without any interruptions or performance issues. 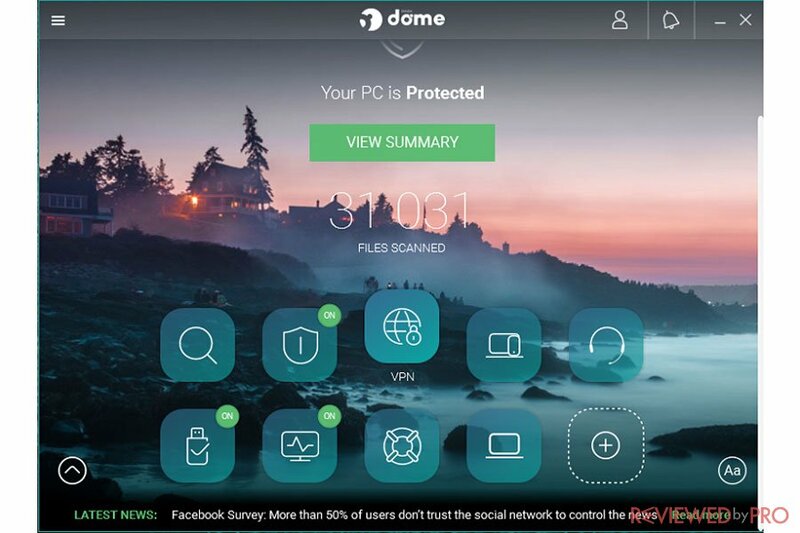 If you are trying to choose a right antivirus, make sure to check out Reviewed by Pro! Our researchers constantly test and review Security, Privacy, Recovery solutions, and other utilities. ^ Panda Security. Panda Security. ^ Panda Home Users. Panda Security. This entry was posted on 2019-02-06 at 03:29 and is filed under Security.